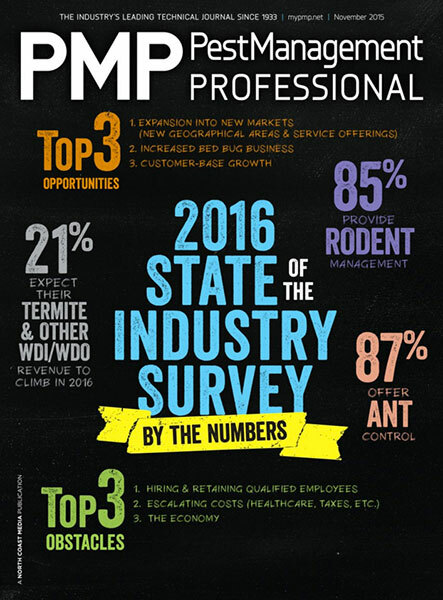 Pest Management Professional (PMP) magazine earned four regional awards and is up for a national award from the American Society of Business Publication Editors (ASBPE). The organization recognizes editorial, design and online excellence for business-to-business, trade, association and professional publications. Its annual Azbee Awards of Excellence competition is open to all U.S.-based publications. Silver in the Humorous Department division for Contributor Pete Schopen’s Start-Up Diaries column. Bronze in the Print, Special Supplement division for the Sticky Trap Survey supplement that appeared in the October 2015 issue. 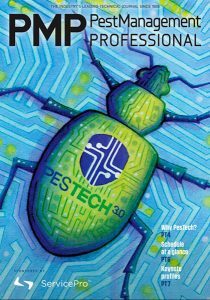 Silver in the Front Cover Illustration category for the December 2015 cover depicting the Pestech 3.0 event. 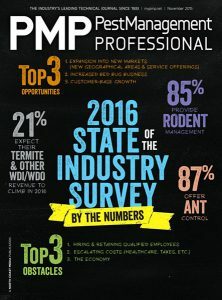 Bronze in the Typographic Cover category for the November 2015 cover illustrating PMP’s 2016 State of the Industry Survey. 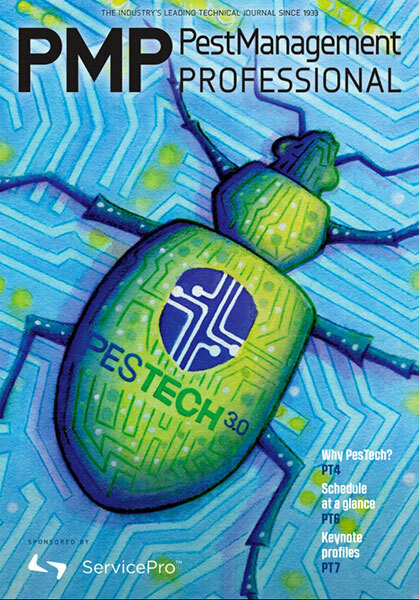 PMP also is in the running for a national award for its December 2015 cover depicting the Pestech 3.0 event. ASBPE will announce the winners of its national competition at an Azbee Awards of Excellence banquet held during its annual conference in St. Petersburg, Fla., on July 21. ASBPE was launched in 1964 as the American Society of Business Press Editors. Members of this professional association include full-time and freelance editors, writers, art directors and designers who work for business, trade and specialty publications. PMP Contributor Pete Schopen won a Silver award in ASBPE’s regional Humorous Department division for his monthly Start-Up Diaries column. 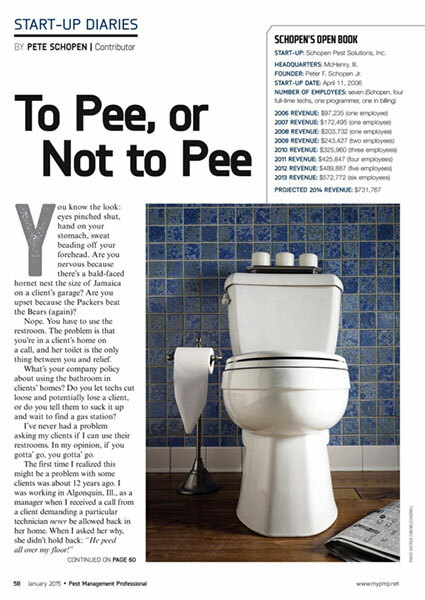 PMP’s Sticky Trap Survey supplement from the October 2015 issue won a Bronze award in ASBPE’s regional Print, Special Supplement division.